*** The CAD Lab Printers ONLY support Letter (8-1/2" x 11") and Tabloid (11" x 17") paper. All other print jobs WILL BE DELETED! In AutoCAD open “Page Setup”. 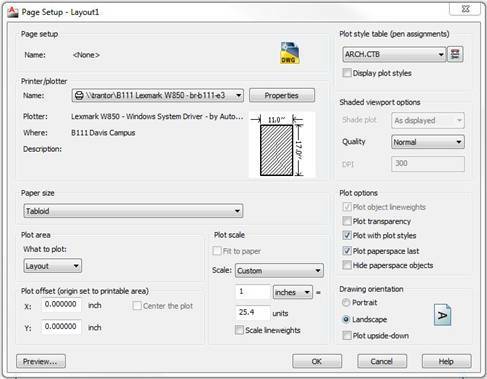 Ensure one of the CAD Lab Printers is selected, then click the button and the “Plotter Configuration Editor” window will open. 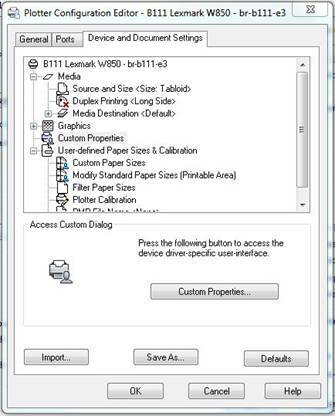 From the “Plotter Configuration Editor” click the button and the “Document Properties” window will open. 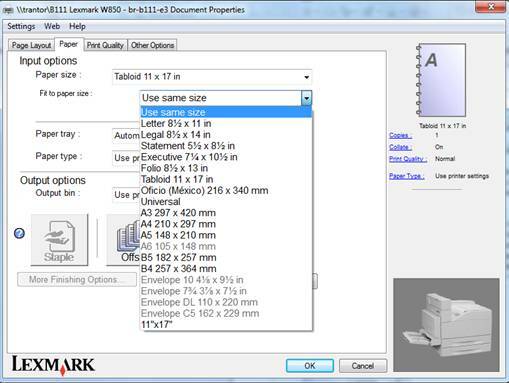 In the “Paper” tab, use the pull down menu for “Fit to Paper” and select “Use same Size”, if not already selected. Click the “OK” button. 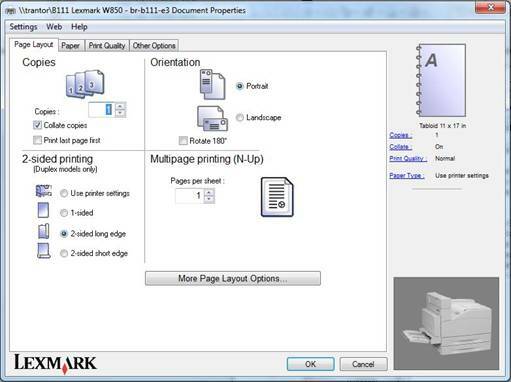 You may be prompted to save the changes you have made to the plotter. Save the plotter to the D:\ or O:\ drive and then you should be able to print normally to Tabloid sized paper.